Located in the Midwest region of the United States, Missouri is the 18th biggest state in terms of population and the 21st biggest in terms of physical size. Nicknamed the Show Me State and the Mother of the West, Missouri has a rich history and has been a home for human life for many thousands of years. The state covers an area of over 69,000 square miles and is home to over 6.1 million people. As the 'Mother of the West' nickname of this state indicates, Missouri played a big role in the western expansion of the United States, being the starting point of the Oregon Trail and the California Trail. The state is home to the Ozarks, the Mississippi River, the Lake of the Ozarks, and several other beautiful natural areas for outdoor recreation of all kinds, making it a very popular place for campers and nature lovers. Missouri is also home to some beautiful big cities like St Louis, Branson, and Springfield too, so no matter whether you're looking for urban adventures or escapism in a natural environment, you can find it in MO. 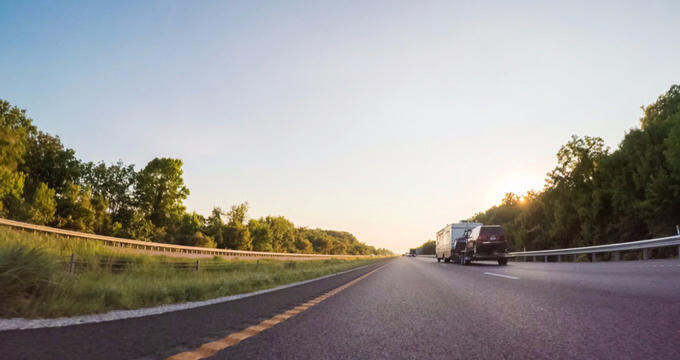 The state is a very popular RV camping destination, with lots of high quality RV parks found in both the north and south of Missouri. Read on to learn important contact info and key details for all of the best RV parks in Missouri and pick the next spot for your vacation in the Show Me State. Located out in Iron Coutny in the eastern part of the state, Annapolis is a small city with a population of just a few hundred people. It's situated in close proximity to a lot of beautiful forest areas for hiking, biking, wildlife spotting, and more, and it's also the home of Big Creek RV Park, which is one of the best-rated parks in the whole of Missouri. Closely situated to key locations like Elephant Rocks State Park, Johnson's Shut-Ins State Park, and Fort Davidson State Historic Site and Museum, Big Creek RV Park is perfect for everyone from nature lovers to history buffs. There's a lot to love about this RV park, which features a few dozen different RV sites, including both pull-thru sites and back-in sites. The sites are spacious and nicely landscaped, with plenty of space for motorhomes to maneuver and lots of good on-site amenities too including propane, firewood, a camp store selling all the essentials you need, a video game arcade to keep the kids entertained, a horsehoe pit, a picnic pavilion, a meeting hall, clean showers, laundry machines, a swimming pool, and a play area for little ones. Situated in Villa Ridge, just west of St Louis, Pin Oak Creek RV Park is a great option for people who are interested in exploring the big city and all of its various attractions and landmarks like the Gateway Arch Museum, the City Museum, and the Missouri Botanical Garden, while also being able to retreat to a quiet, calming, soothing environment in the evenings. This Missouri RV park is a beautiful destination, nicely located near Six Flags and some other key attractions and surrounded by beautiful views and scenery. With spacious RV sites all around, Pin Oak Creek RV Park can cater to any kind of motorhome, including big rigs, and is actually an award winning park, having earned a prize for the best 'Large Park of the Year' from the Missouri Association of RV Parks and Campgrounds and consistently ranked as one of the top 10 RV parks in the entire state. On-site amenities and facilities at this RV park include full hook-up sites with water, 30/50-amp power, and sewer, personal fire rings and picnic tables, a camp store selling RV essentials and gifts, a DVD library, a fishing lake, a paintball course, laundry machines, toilets, showers, a batting cage, and more. Looking for an RV park in Columbia, MO? If so, Cottonwoods RV Park is the perfect option for you. Situated in the northern part of this big, beautiful city, offering convenient access to the various landmarks and sites of interest like the Mizzou Botanic Gardens, the University of Missouri's Museum of Art and Archaeology, Stephens Lake Park, and more, Cottonwoods RV Park is a terrific choice for an RV camping trip in MO. Beloved by people of all ages, this RV park really stands out for its size, cleanliness, and quality. It won an award for being the best mid-sized RV park in the whole state in 2018 and features almost a hundred individual full hook-up sites, all coming complete with 30/50 amp power and free wireless internet access. Lots of trees, grassy areas, and shady spots can be found around this RV park to give it a nice, natural feel, and the on-site amenities include laundry machines, a play area for children, a convenient store selling groceries and souvenirs, wine and ice cream sales, clean restrooms, well-kept showers, a swimming pool, fire pits, a rec room with a game library and book exchange program, fitness equipment, a basketball court, a horseship pit, a huge picnic pavilion, a communal kitchen and dining area, and all sorts of special events like 4th of July parties and taco nights.